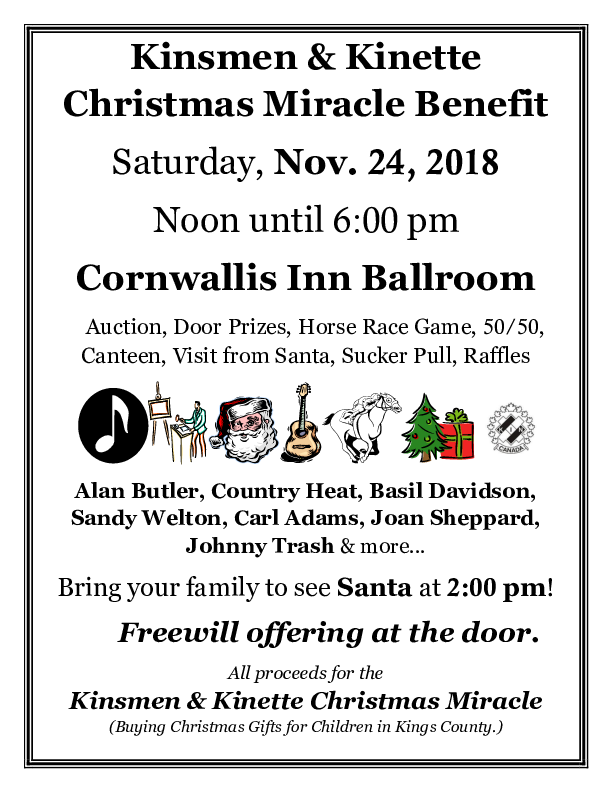 Auction, Door Prizes, Horse Race Game, 50/50, Canteen, Sucker Pull, Raffles and more. Bring your family to see Santa at 2:00 pm! 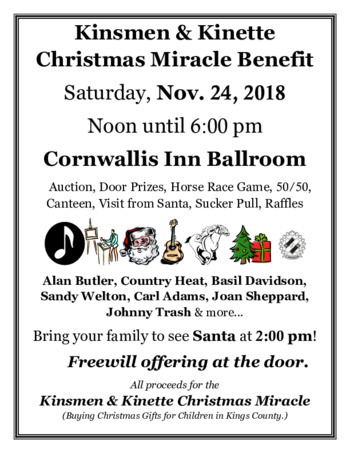 All proceeds for the Kinsmen & Kinette Christmas Miracle (Buying Christmas Gifts for Children in Kings County).